Most of you know me and know my gym, Golden Age Strength Club. It’s still here, and it’s still making people stronger than ever. Nothing is changed in terms of our services or ownership. What we wanted to do was make a distinct and special brand for our service and facility. Basically, we wanted to really stand out as more than just a gym with some obstacles in it. We are bringing on MORE obstacles, MORE training, and MORE exciting events. We specialize in kids fitness and activities. Our programs are the most comprehensive kids fitness and education program that nourishes the development of children of all ages. We help them build strength, stamina, creativity, courage, and cooperation through fun missions. Our gym doesn’t have the fancy weight machines, but what we do have are obstacle courses, free weights, punching bags, and more which present you with challenges that will never feel like a routine. We also host the best American Ninja Warrior experience in the Chicago area. Don't forget about our kids birthday parties as well. Make that next birthday party one to remember. The party includes a guided obstacle course full of monkey bars, tire climbing, canvas nets, etc. Bujinkan Ninjutsu, Ninja Obstacle Training, and Warrior Conditioning. The first of it's kind in Southern Illinois! A complete Ninja Training Facility. 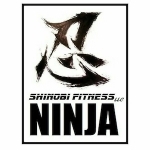 Whether you're looking to train the Ancient Japanese Art of Ninjutsu, or want to be the next American Ninja Warrior, Shinobi Fitness LLC has you covered! Training for American Ninja Warrior requires a tremendous amount of upper body strength and core control. During our Ninja Warrior classes, you will learn everything from the fundamentals of human movement to mastering some of the most challenging obstacles that Mt. Midoriyama has to offer. Whether you have aspirations to run the American Ninja Warrior course or are looking for a fun and unique way to shape and challenge your body and mind, these classes will provide you with all the tools and support you need to achieve success. We know how important it is for boys and girls to gain self–confidence and build self–esteem. Which is why we have designed courses for all ages and abilities. Being able to try, fail, try again, and succeed is essential to building self–esteem. 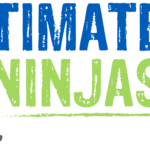 With every attempt at one of our courses and every victory when crossing the finish line, boys and girls will discover that they are Junior Ninja Warriors! Windy City Ninjas is a 10,000 square foot gym with a wide array of obstacles to challenge every age of ninja warrior. Know of an ninja warrior gym we're missing in Illinois (IL)? Let us know and we'll get it added. It's completely free! Looking for even more American ninja warrior training gyms in Illinois (IL), or local ninja warrior competitions in Illinois (IL)? Check out our sister site NinjaGuide.com!